Mr. Choi Jung-Hwa, son of the legendary founder of Korea's martial art Taekwondo will come to Seoul on Sept. 8, 2008, a South Korean government source announced on Sept. 7, 2008. 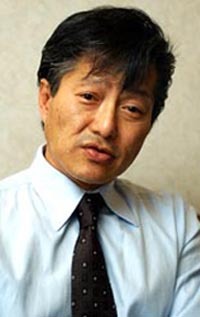 The 54-year-old Choi has been living in Canada for the last 30 years as his father Choi Hong-Hi ((崔泓熙,1918~2002) had been working as the founder of International Taekwondo Federation (ITF), which had been leaning toward North Korea in its activities. IIF has been deviding Taekwondo through the world with the South Korea-based World Taekwondo Federation (WTF). The South Korean source said on the day that Mr. Choi was expected to arrive in Seoul from Narita Airport in Tokyo, Japan in the morning of Sept. 8, 2008. He will be investigated by the South Korean intelligence agency on suspicion of his espionage activities, according to the source. The source was quoted as saying that Mr. Cho expressed his willingness to revert to South Korea through the South Korean Embassy in Canada in June of 2008, saying he wants to return to South Korea. Founder of Taekwondo — (최홍희; 崔泓熙; Nov. 9 1918–15 June 2002), also known as General Choi, was a S. Korean army general and martial artist who is a controversial figure in the history of the Korean martial art of taekwondo. Choi is widely regarded as the 'Founder of Taekwondo'—most often by International Taekwondo Federation (ITF) organisations. Mr. Choi, holder of Canadian citizenship, had been involved in pro-North Korean activities after he and his father left South Korea in 1972. They defected to Canada amid serious feuds with then-South Korean President Park Chung-Hee. In a recent interview with a local magazine JoongAng Sunday in Tokyo, Mr. Choi said "among the ITF Taekowndo masters were many Noth Koran agents." "They were trained by North Korea's Workers' Party and sent to foreign countries for espionage activities," Choi was quoted as saying. Mr. Choi also said that he was involved in the attempted assassination of then-South Korean President Chun Do-Hwan in 1981 on the order of North Korean government. Mr. Choi allegedly fled to North Korea from Canada in July of 1981 when their plan was detected by Canadian police to assassinate South Korean President Chun Doo-Hwan on his visit to Canada. As a grand master himself, Mr. Choi Jung Hwa was born on the Korea's southernmost island of Jeju. Mr. Choi started practicing Taekwondo at the age of seven under the guidelines of his father, Gen. Choi, Hong-Hi. Just like his father, he taught and popularized Taekwondo all over the world. He is known to be the person who introduced and developed Taekwondo in several European countries in particular. Established in 1966 by Choi Hong-Hi, the legendary founder of Korean Taekwondo, ITF has been divided the world Taekwondo with South Korean-based the World Taekwondo Federation (WTF). The late Choi Hong-Hi, who founded Taekwondo and named it Taekwondo 1955, and served as a military commander in South Korea. He also supported South Korean President Park Chung-Hee when Park staged a military coup in 1961. But Choi was discharged from the military against his own will amid a feud with dictator Park Chung-Hee. 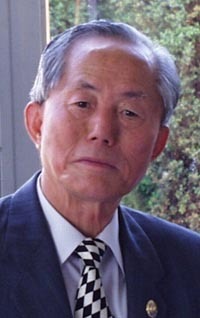 Afterwards Choi served as South Korean ambassador to Malaysia, but eventually he defected to Canada amid a serious disagreement with then-President Park. His ITF had been hugely powerful among the followers of Taekwondo throughout the world with tens of thousands of followers. But South Korean government founded another Taekwondo organization, World Taekwondo Federation (WTF) in 1973. The two Taekwondo bodies have been dividing world's Tawkwondo members up until now. The WTF became the world's sole Taekwondo governing body recognized by the International Olympic Committee in 1980. In his promotion of Taekwondo to the world the late Choi had been supported by the late North Korean leader Kim Il-Sung. When Mr. Choi died in 2002 the son of Kim Il-Sung, Kim Jong-Il expressed deep sorrow by sending funeral flowers. He was buried in the site for the patriots in Pyeongyang. Mr. Choi even became an object for a movie in North Korea for his heroic behavior in Taekwondo. As native of Myeongcheon, North Korea's North Hamgyeong Province, Mr. Choi had been visiting North Korean over 20 times in his life. Taekwondo (Korean;태권도IPA: /thɛʔkwʌndo/; English;IPA: /ˈteɪˈkwɒnˈdoʊ/) is a Korean martial art and the national sport of South Korea. It is also regarded as one of the world's most popular martial art in terms of number of practitioners. Kyeorugi, or sparring, is an official Olympic sporting event. In Korean, tae 태 跆 means "foot"; kwon 권 拳 means "fist"; and do 도 道 means "way"; so taekwondo is loosely translated as "the way of the foot and fist." Taekwondo's popularity has resulted in the varied evolution of the martial art into several domains: as with many other arts, it combines combat techniques, self-defense, sport, exercise, meditation and philosophy. Taekwondo is also used by the South Korean military as part of its training. Traditional taekwondo is typically not competition-oriented but stems from military roots with great emphasis on offense. Modern Taekwondo, on the other hand, tends to emphasize control and self-defense. Formally, there are two main styles of taekwondo. One comes from the Kukkiwon, the source of the sparring system shihap kyeorugi which is now an event at the summer Olympic Games and which is governed by the World Taekwondo Federation (WTF), the other comes from the International Taekwondo Federation (ITF), which was founded by General Choi Hong Hi, sometimes called the father of taekwondo. Although there are doctrinal and technical differences between the two main styles and among the various organizations, the art in general emphasizes kicks thrown from a mobile stance, employing the leg's greater reach and power (compared to the arm). Taekwondo training generally includes a system of blocks, kicks, punches, and open-handed strikes and may also include various take-downs or sweeps, throws, and joint locks.